Color Based Object Sorting has a wide usage in fruit sorting as well as candy sorting industries. This system puts forward a mechanism to detect color and sort items through image processing. Once identified a mechanism is used to sort the candies into particular bins baskets. We here demonstrate this mechanism using a camera with electronic circuitry along with sorting mechanism using 3 bins. 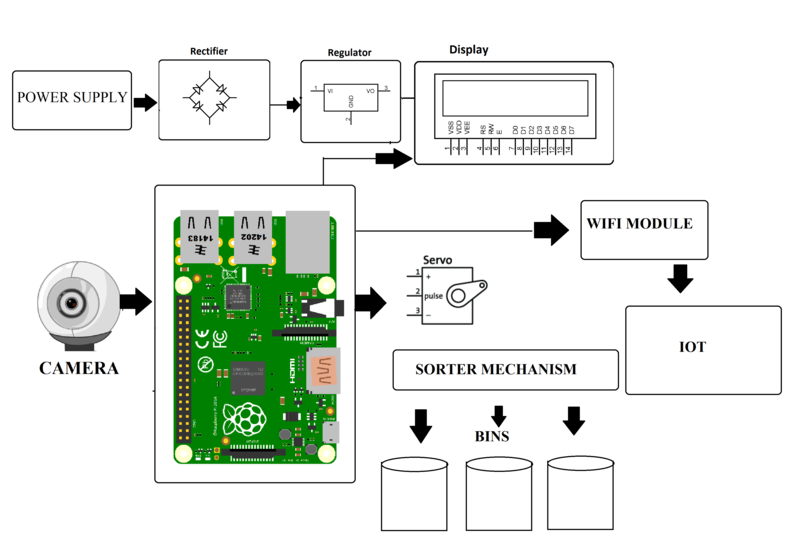 The system uses raspberry pi connected to a controller circuit to achieve this task. The controller circuit consists of a camera attached to it that detects color of a small object in front of it. A motor is used to feed an object to the camera chamber. 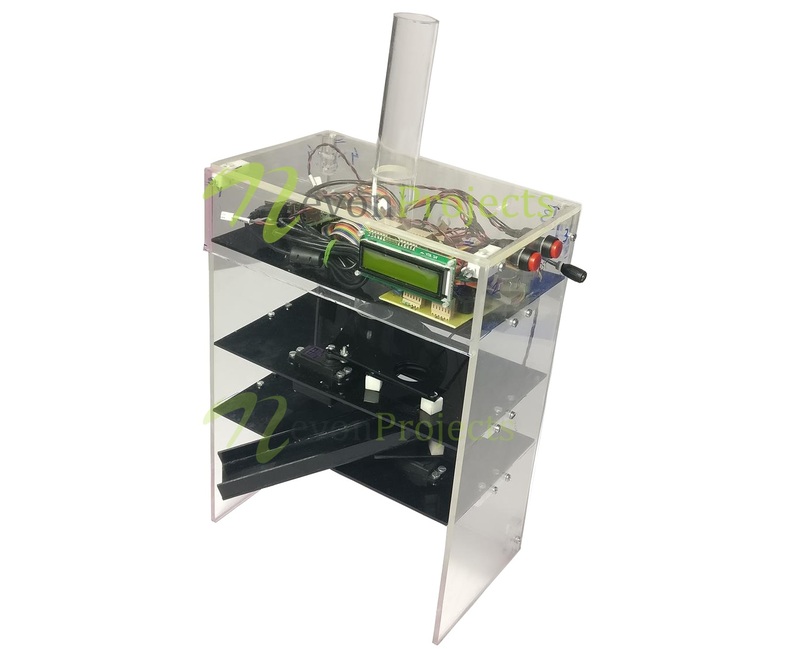 As soon is the color is detected a signal is sent to the sorter mechanism which uses a motor to position the sorting tube towards respective section. A feeder is then used to push the object towards the tubs so that it gets sorted and next object is pulled in by the feeder. 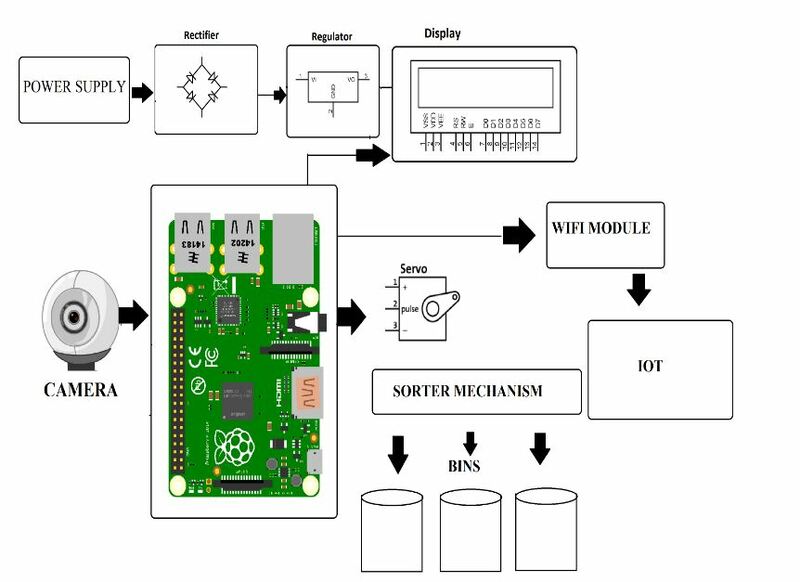 The action details are sent to the IOT server using iotgecko platform to keep track of the number of objects sorted in each section. 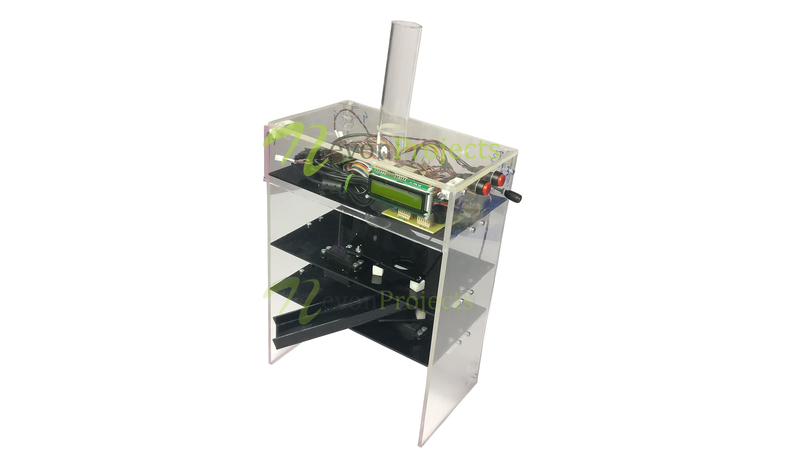 Thus we achieve a completely automated IOT based sorting system.